The Company has set up an independent charity called The Worshipful Company of Gardeners of London Charity (registered charity number 222079). The Charity makes donations to registered charities linked to horticulture and gardening. For further details, please contact the Secretary to the Charity. Individuals and groups in the horticultural industry who have fallen on hard times should consider applying to Perennial. The Company provides funds and advice for charitable garden projects and awards prizes to students of horticulture at Capel Manor College, Royal Botanic Gardens Kew, RHS Wisley, Writtle College, the Royal Parks and City and Guilds. The Prince of Wales Trophy is presented annually to the student adjudged to have contributed most to the field of sustainable horticulture. Trophies are also awarded to other deserving organisations and causes. The Company organises the Flowers in the City campaign in close co-operation with the Corporation of London. 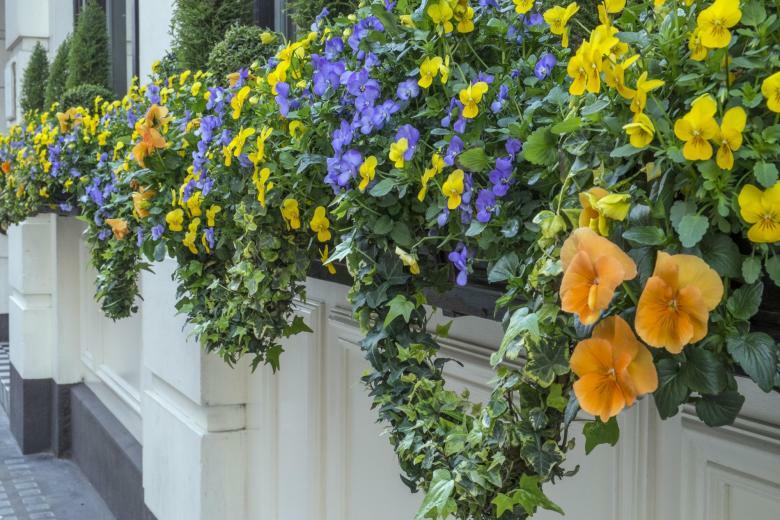 The aim is to encourage the planting of gardens, courtyards, atria, roof gardens, window boxes, troughs, tubs and hanging baskets to beautify the City. The award, made by the Lord Mayor, of trophies and plaques for meritorious displays (Summer) takes place annually at Mansion House. The award for Winter displays takes place annually at Cutlers' Hall. The Company has close links with the Metropolitan Public Gardens Association, a long established charity which strives to preserve and improve gardens, neglected sites and green open spaces across London, as well as with The London Children's Flower Society and the London Gardens Society. The Master, whilst in office, represents the Company on a variety of charitable committees. Other members of the Company sit on those committees in their own right and also contribute their time and expertise to numerous other organisations for the furtherance of the craft and in pursuit of the Company's objectives. The Company is privileged to present a gift of produce each year to the Lord Mayor. One of the winning entries from the Flowers in the City Summer Competition.